In this weekend program for the Great Lakes Region community, we will explore vibrant, just community by utilizing meditation, contemplation, conceptual presentation, embodied exercises, feeling, and art. In community, we will explore imbalances within ourselves, each other, and the world thus freeing blockages and allowing a natural unfolding for true healing. Through this exploration we can embrace our authentic wholeness and dignity. Bringing care to a collective inspiration for the Great Lakes Region, we might recognize that we long for a just, kind, inclusive, community. As we know from our meditation practice, deep listening, both to ourselves and to others, is key to open-hearted curiosity. Curiosity allows our care to blossom further. We might collectively ask, what gets in the way of deep listening to ourselves and as a community? We have been raised with a myriad of influences, which affect how we interpret the world. Socially constructed hierarchies, or societal cocoons, often limit how we navigate the world. In this retreat, we will practice conscious listening and explore how we’ve been socially conditioned to interpret the world. Knowing where we come from and how we’ve been conditioned is the basis for developing cultural humility; the life long process of self reflection and self critique that supports cultural differences and inclusive community. With gentleness and fearlessness we can unearth habitual social patterns and find new ground to build structures that support vibrant, just community. In preparation for the GLR retreat, Acharya Leung, Shastri Bubsy and Shastri Amadio will host two live online Zoom modules prior to the program (Zoom links below). All participants in the retreat must attend these modules. These modules will help us to have a shared understanding and language to help support the retreat. If you are unable to attend on the dates below please register for the program and other arrangements will be made for you upon registration. These modules are free of charge. We offer a framework of four principles for practicing individual and community accountability essential in creating a healthy, cohesive container for exploring what it means to be a vibrant and just community. Overwhelming evidence shows that our socio-economic and political systems advantage some and disadvantage others. It’s not our fault, we were born into these societal cocoons. However, if we aspire toward inclusive, vibrant and just community, it is our responsibility to understand how these systems operate and how we unconsciously maintain them. 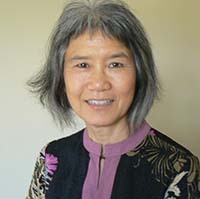 Acharya Charlene Leung serves as Chairperson of the Shambhala Diversity Working Group since 2009 and is a teacher for the UNtraining, a Shambhala inspired organization devoted to healing personal and social oppressions. She is a student of both the Druk Sakyong, Chogyam Trungpa Rinpoche and the Sakyong Mipham Rinpoche. 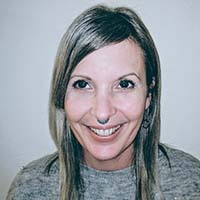 Charlene served on the Shambhala Transition Task Force. She and her husband raised two sons in a Shambhala household. She has a private acupuncture/herbal medicine practice and teaches Wild Goose Qi Gong in the San Francisco Bay Area. Shastri Jil Amadio has been a student of Shambhala since 1989. 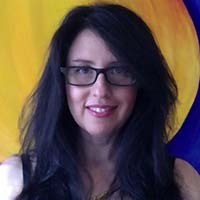 She works in communication, crisis and change management, and uses mindful communication to bridge group challenges. Jil has led cause-marketing initiatives such as MAC Aids Fund, Stop Violence Against Women campaigns and Children’s Aid Society programs. Jil also produces documentary films that shine a light on underserved communities. Appointed Shastri in 2016, she is inspired to support local leaders and foster regional unity. Jil loves to spend time with her teenage daughter, who regularly teaches her about humility. The Toronto Shambhala Centre is committed to inclusion, community, and generosity. We aspire for everyone to benefit from the mediation and study path at our centre. We believe in the basic goodness humanity and as such we have a payment structure that can inspire inclusion, community and generosity. While we contemplate our payment we can also explore how we might extend ourselves and support our community either financially or otherwise. This community only exists due to the generosity of our students.